1. 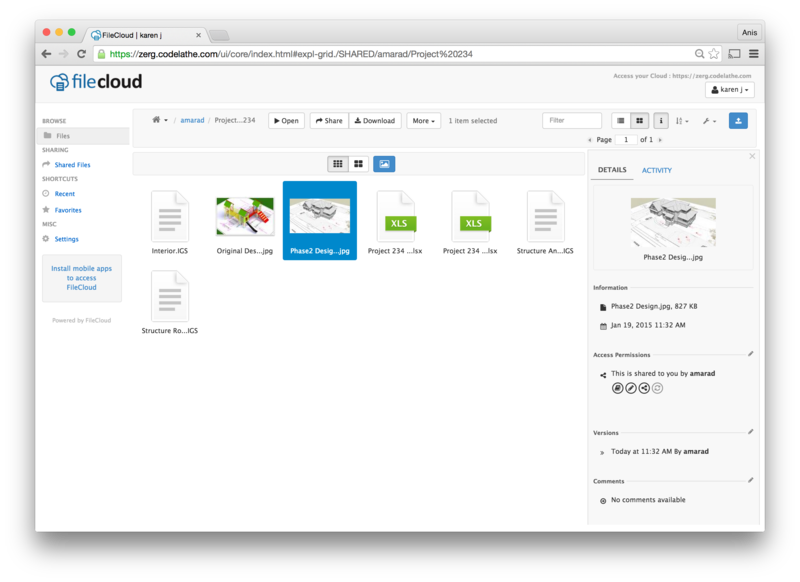 Deployment Flexibility: FileCloud is a self-hosted file share and sync software solution that can be deployed on-premise or on public cloud where as Box only provides a public cloud option. 2.Complete Control: With FileCloud, Corporate IT departments have complete visibility and control over sensitive corporate data. But with Box the business loses control and visibility once the files are uploaded to Box servers. 3. Integration with in-house Systems: FileCloud integrates with existing file shares and user home directories. With Box you need to upload all your business files to Box Servers. Think of uploading Tera bytes of corporate data to a 3rd party infrastructure. What are the benefits? 4. Security & Access Control: FileCloud works with existing NTFS access permissions used in Enterprise. But with Box the IT department needs to completely recreate the file access permissions on the cloud. Why do one need to maintain access permissions in two different places? 5. Backup Functionality: In addition to file sync and share, FileCloud also offers endpoint backup capabilities where Box only offers file sync and sharing. 6. Access Roles: FileCloud offers custom admin roles in its default pricing plan, whereas box offer custom admin roles only in their enterprise plan. 7. File Versioning: FileCloud offers unlimited file versioning, whereas Box offers limited file versioning capabilities. 8. Customization: FileCloud offers exhaustive custom branding options(business logo and domain name) in the default plan, whereas Box provides custom branding option only in their enterprise plan. 9. Device Security: FileCloud offers key device security features like mobile device management and mobile policy in the default pricing plan, whereas Box offers MDM only in their enterprise plan. 10. Cost and Economics: FileCloud costs 3,000 USD for 100 users while Box Costs 18,000 USD/year for 100 users. The functionality offered by both FileCloud and Box are identical. What is the justification to pay 15000 USD more and lose control of corporate data?